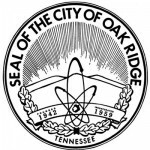 Roane County Commissioner Steve Kelley, an Oak Ridge resident, died Wednesday evening, February 21. He was 63. Kelley, who lived on Oklahoma Avenue in Oak Ridge, represented District 4 on the Roane County Commission. That district includes the Oak Hills, Oliver Springs, and Orchard View voting precincts. Oak Hills is in west Oak Ridge. Kelley was on the Budget Committee appointed by Roane County Executive Ron Woody. Woody said Kelley was passionate about education, and inquisitive and fair. “He basically voted his conscience in what he thought was fair for the citizens,” Woody said. Kelley had picked up a petition to run for re-election in the August election, Woody said. The process to replace Kelley on the Roane County Commission wasn’t immediately clear Sunday. Woody said the seat includes part of Oak Ridge and part of Oliver Springs, and it’s historically been held by an Oak Ridge member. Kelley was elected in 2010, when former Commissioner David Olsen did not seek re-election, and he was re-elected in 2014. The Roane County Commission has 15 commissioners from seven districts. District 4 has two commissioners, with James Brummett of Oliver Springs filling the other seat. Stephen L. Kelley was born in Harriman on November 25, 1954. He attended Roane County High School and served in the U.S. Navy for three years. He and his wife Renee have three sons. Kelley was a self-taught computer programmer, and he joined his father in Scientific Endeavors, a software development company, his obituary said. He received a degree in business administration from Tusculum College and worked on cutting-edge software for several companies, most recently Third Dimension Technologies, the obituary said. Kelley was a past president of the Humane Society of East Tennessee, a past president of the Oak Ridge Sister City Support Organization, and a member of the Executive Committee of the Roane County Democratic Party.